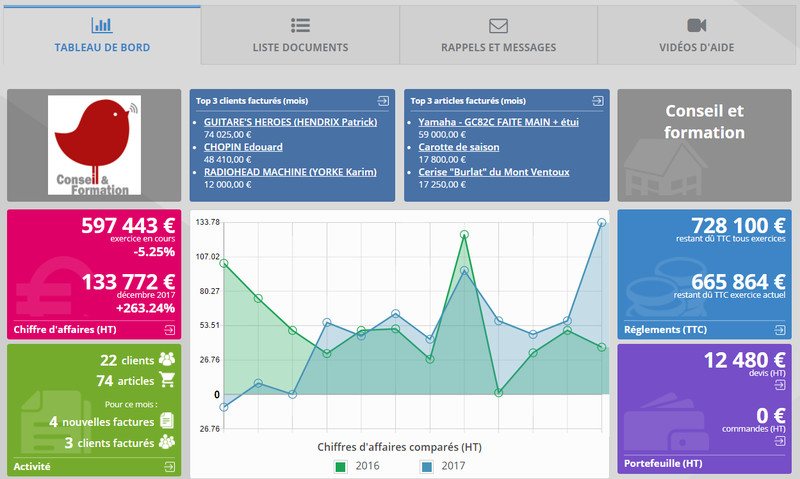 ClicFacture.fr is a web-based invoicing tool for small and medium sized businesses, self-employed workers, associations and freelancers. 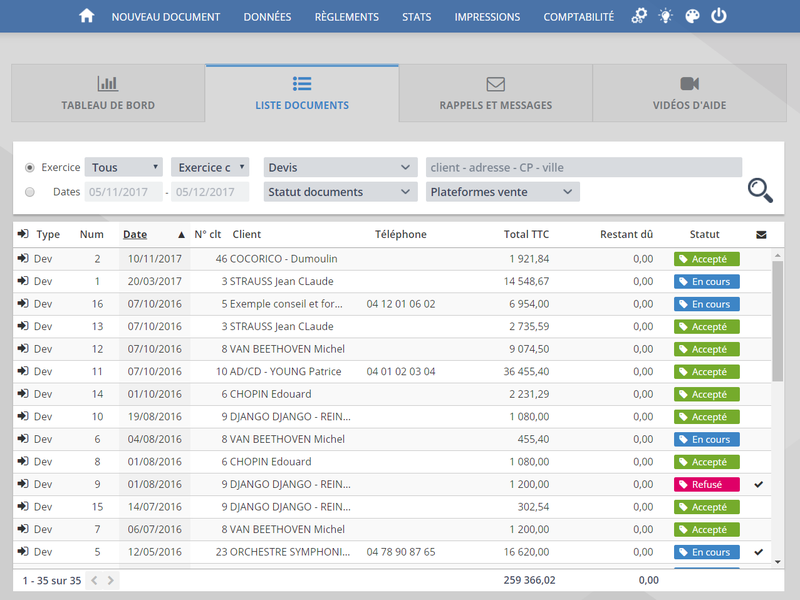 The solution allows you to monitor all the essential aspects of your activity online: quotes, orders, deliveries, invoices, clients, suppliers, articles, payment follow-up, editing and printing of paper, email and fax documents. Since 2007, ClicFacture has been offering a management solution for small businesses: you can access all the essential functions of a small business thanks to clear menus, rank and send documents automatically via email, create unlimited templates, manage multiple users, and much more. ClicFacture also allows you to monitor your activity thanks to a dashboard which tracks your activity, and statistics which can be exported via Excel in one click. 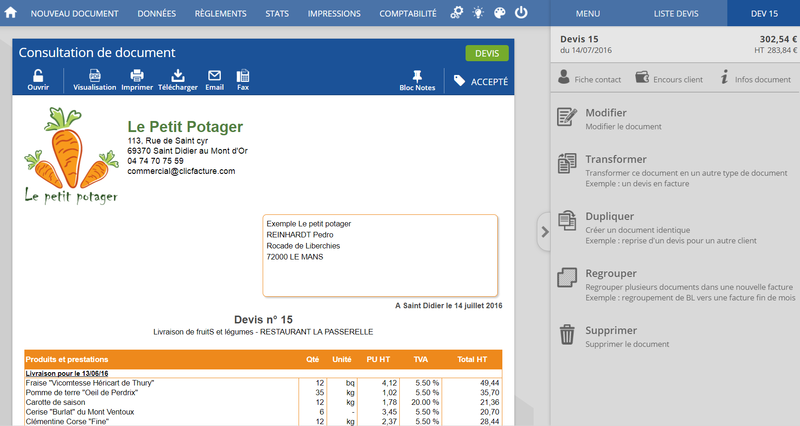 You can also export sales and payment records in accounting format. ClicFacture also manages your CNAPS tax and integrates your eBay sales. In terms of service, ClicFacture offers a free telephone and email helpline.